Nothing is more important to us than the health and welfare of our infants and children. Healthcare facilities, like your own, require Pediatric Advanced Life Support certification for the personnel that you depend upon to take care of your pediatric population. Some of those providers care for critically ill children each and everyday in their practice. Others take care of those with relatively minor injuries or illness, but must always stand at the ready in case things change quickly. These two diverse groups have very different educational needs. Currently one course is available for all providers. We have changed that. 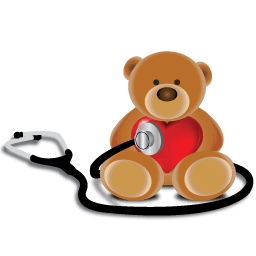 We offer an online Pediatric Advanced Life Support Course that is as diverse as its participants. While offering an in-depth educational experience to those that need it, the course also offers a comprehensive review of new science in the pediatric arena for those who practice critical care pediatric medicine on a regular basis. No two providers will take the course in the same way or the same time frame, but all will complete it with the ability to demonstrate their competence by passing an online examination. Our course meets your needs as an administrator as well as the needs of each participant. This form is completed by our instructor, the students’ company’s instructor or a third party instructor we connect the student with. In all cases, the instructor will be holding current and valid ACLS/PALS instructor credentials.